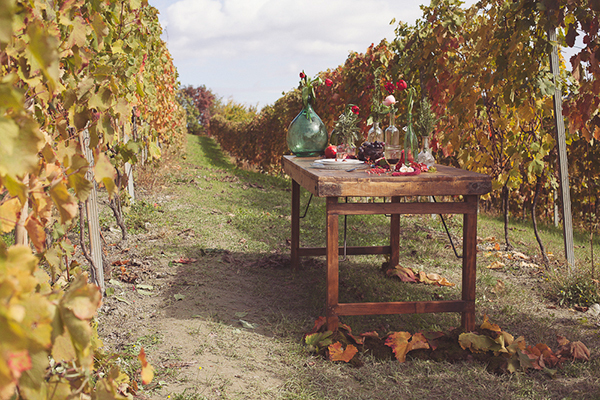 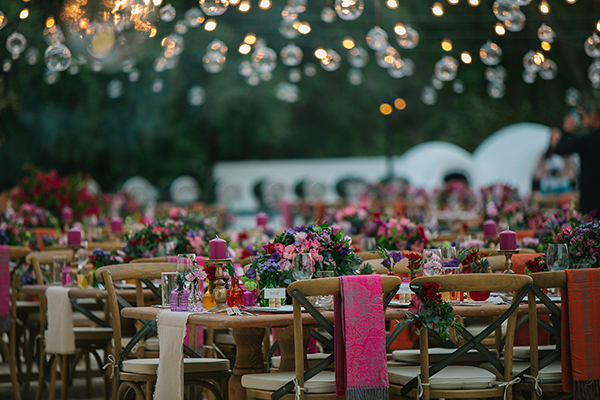 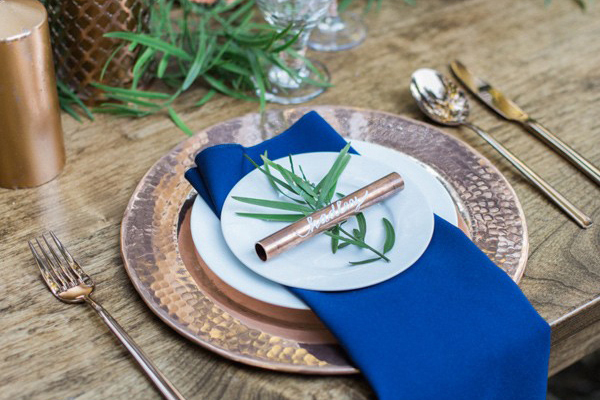 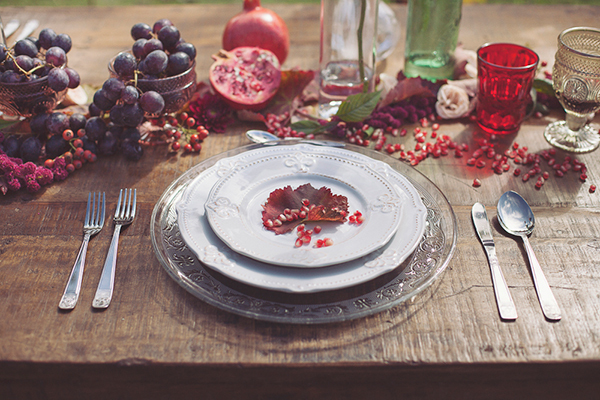 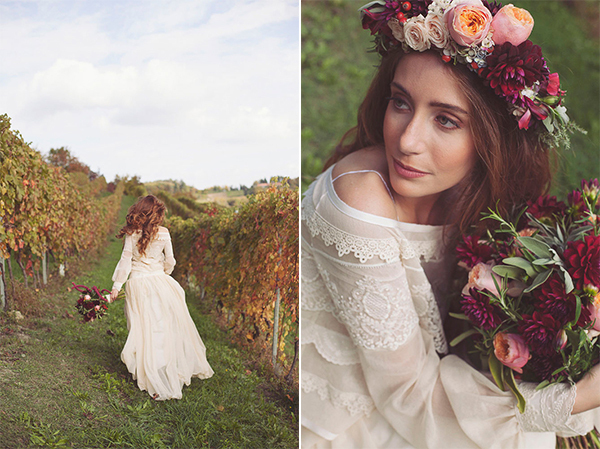 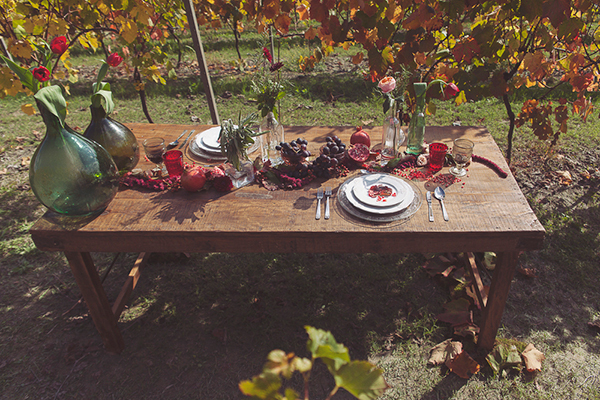 Loving this bohemian vineyard inspiration shoot in the scenic Monferrato area! 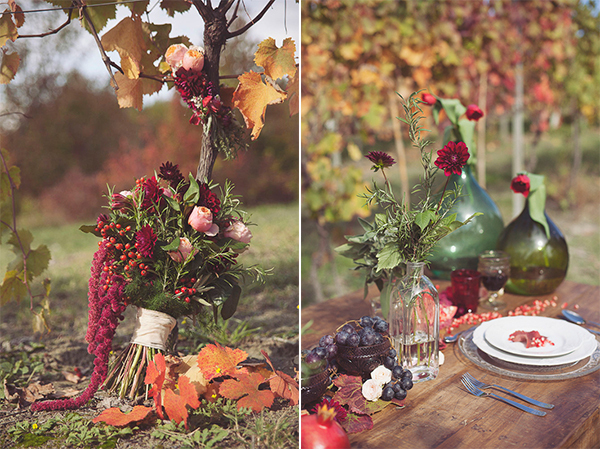 With a dreamy wedding dress, red flower arrangements and red details on the table setting, this shoot offers so much inspiration for a beautiful fall wedding! 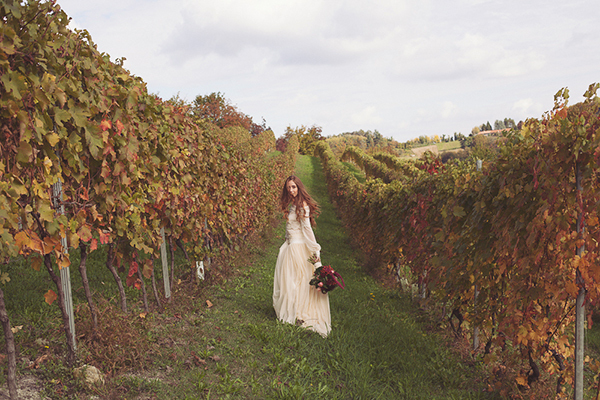 “This vineyard styled shooting has been realized highlighting the typical italian panorama, in Monferrato area. 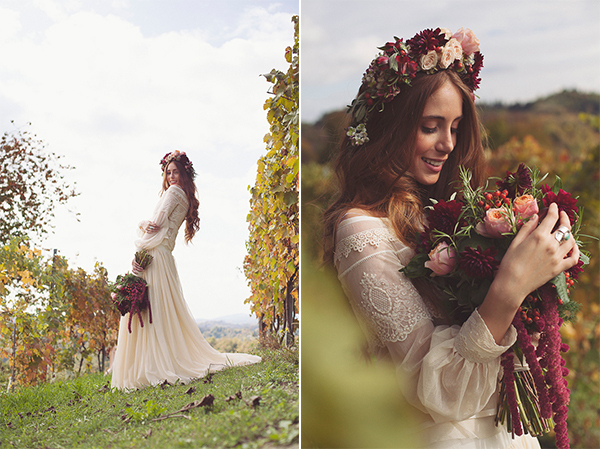 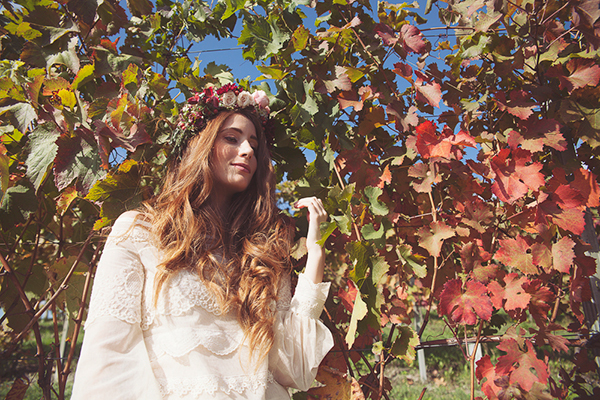 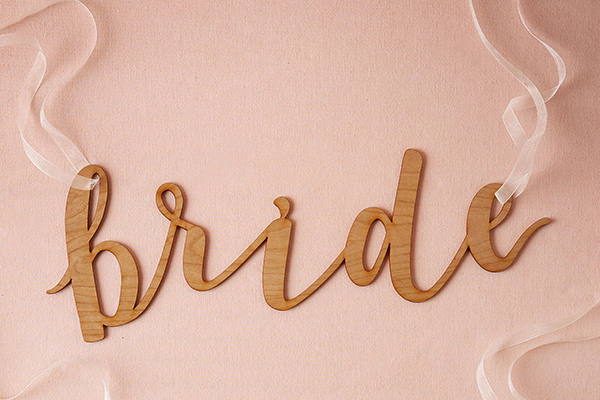 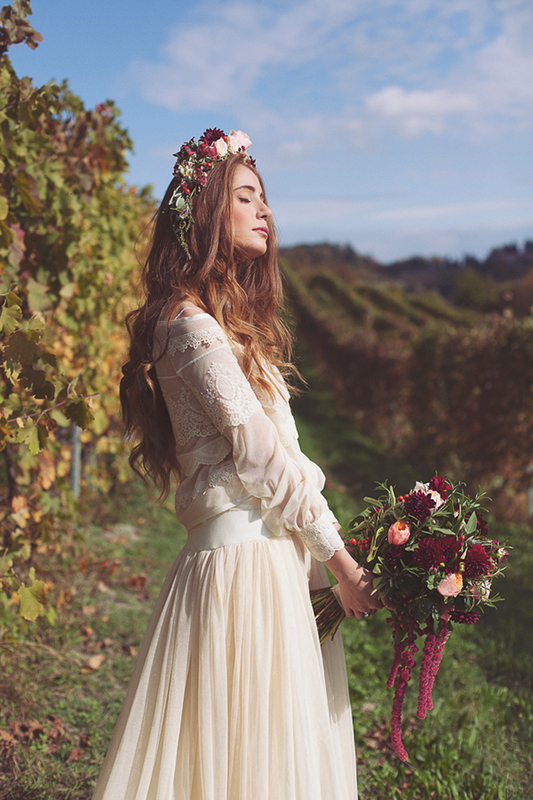 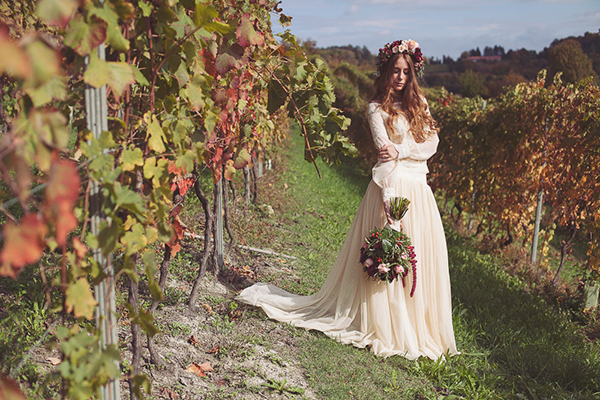 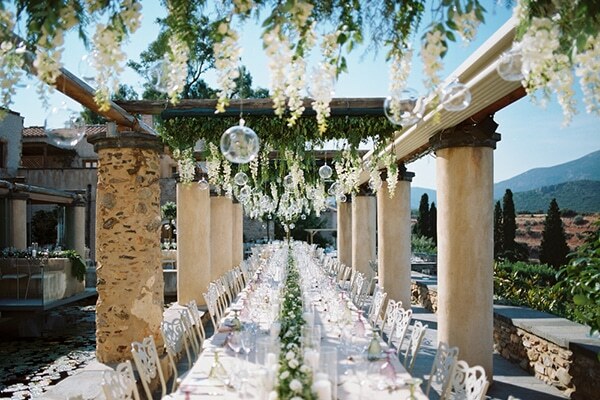 Vineyards have been used to enhance a bohemian bride, having sweet and soft features and long red hair. 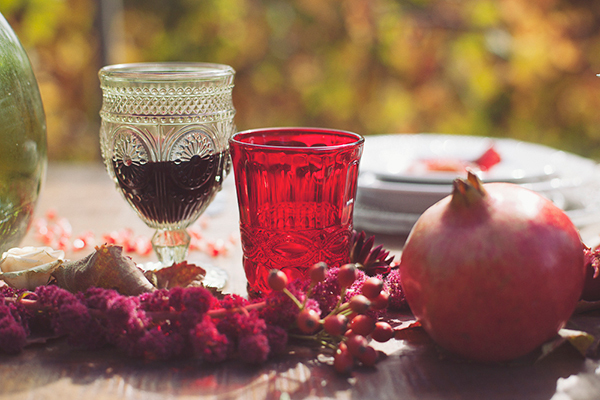 The color we have chosen recalls the Piedmont wine. 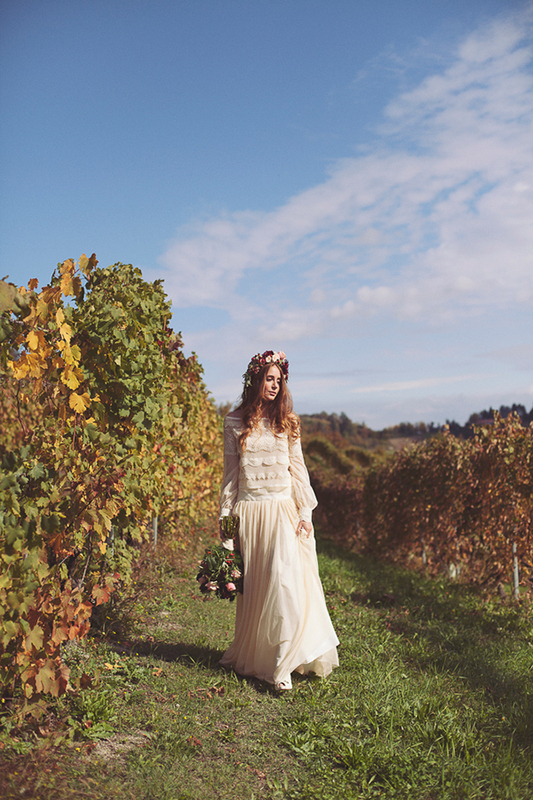 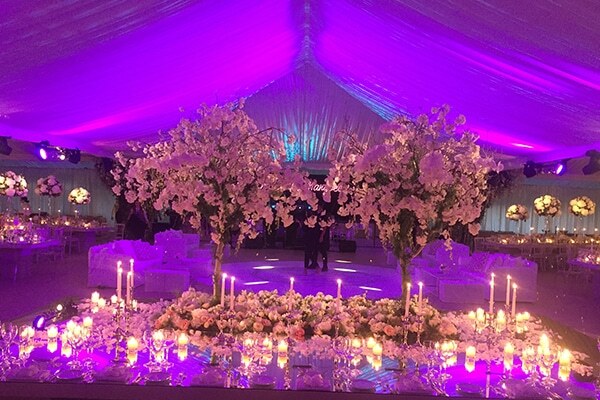 The wedding dress and all details are in perfect harmony with the bride and her bohemian grace”.